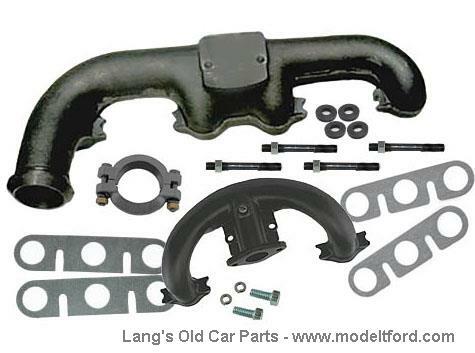 This kit includes everything needed to install Model A intake and exhaust manifolds on a Model T engine. Model A manifolds allow more air to be delivered to the combustion chamber and less back pressure in the exhaust which gives you more power. It includes the Model A intake and exhaust manifolds, a manifold adapter plate and all the required bolts and gaskets. Note: It does not include the exhaust pipe, carburetor or fuel lines.